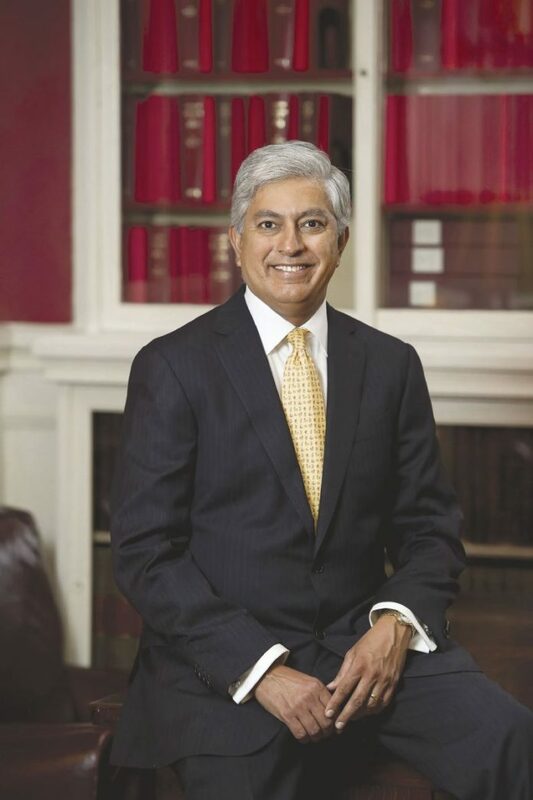 Dr. Prakash Masand is co-founder, chairman and CEO of Centers of Psychiatric Excellence. May is Mental Health Month and the theme designated by the National Alliance on Mental Illness this year is “Cure Stigma.” We have certainly come a long way and are more accepting about mental illness, but we still have a lot of work to do. Mental health was never taken as a serious issue until those suffering emerged from the shadows. We have come a long way from the trenches of institutional punishment and familial abandonment. As the dialogue becomes more mainstream it is more apparent that mental health issues are quite common. Thankfully, we have entered an era where treatments are plentiful and more money is being invested to aid in recovery. Chances are you or someone you know suffers from a mental illness. These disorders often lie on a spectrum of severity and can wax and wane with different phases throughout life. The National Institute of Mental Health estimates that about one in five American adults — 43.8 million, or 18.5 percent — experience mental illness each year. These statistics are only those that are reported. It is quite possible many more individuals are suffering with mental illness and do not have the proper support to help them feel comfortable going public. As the prevalence and normalization of mental illness increases, more people can feel comfortable about coming forward to seek treatment. Mental illness disproportionately plagues those in less privileged parts of society. Veterans and homeless populations suffer from mental illness at alarming rates and have fewer opportunities to seek help. Mental illness is often a lifelong diagnosis, and one that takes proper care and treatment to integrate into daily life. According to the Archives of General Psychiatry, “Half of all chronic mental illness begins by age 14; three-quarters by age 24. Despite effective treatment, there are long delays — sometimes decades — between the first appearance of symptoms and when people get help.” Due to the patterned nature of mental health disorders, symptoms can rise and fall with different periods in life. It may take years to get a proper diagnosis and then to find a treatment that works. Even if you personally do not suffer from mental illness, there are ways to help others overcome the negative connotation. Support those who are affected by the wake of the stigma. Everyone can benefit from becoming more educated on topics of mental illness. Spot the signs and be there to talk with individuals who may need support. Don’t try to diagnose someone yourself. However, be open to support them during hard times or cyclical flare ups. Awareness goes a long way to create a cultural shift. Become aware of how to help those who suffer from mental illnesses. The best thing you can do is to help the community overcome the stigma that they are all too often ascribed without reason. The more openly we as a society can discuss these issues, the easier it will be for people to come forward and seek help when they notice something is off. The shame, embarrassment, and stigma can stop people from even coming forward with inquiry about their suffering. Just like any disorder, it requires the suffering individual to recognize that they need help. No matter how many people around them want to extend a helping hand, it takes the individual themselves to find treatment and their desire for wellness to truly improve their illness. Together through awareness, openness, education and empathy, we can change the societal stigma associated with mental illness. Through strength, we can all cure the stigma that has plagued individuals for centuries. From the shadows of historical association, mental illness stigma has come a long way. Progressive steps have guided the narrative forward, but leaps and bounds need to be overcome to achieve the potential that lies ahead.